Reactionary Tales is unique!! I feel special considering that was a bit of my goal. Thanks to Patty over at Moonshine’s Corner for nominating me for this award. I love her. She writes book reviews and hiking adventures! We’re fellow Grimlets and she’s truly a super cool human. Check out her blog and hit that follow button! If you could have your pick of book to make into movie, what would it be? 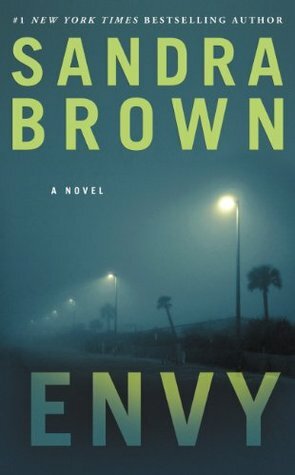 HANDS DOWN, Envy by Sandra Brown. When a New York editor receives a manuscript that catches her eye, she travels to the author’s residence to learn more. The more she learns about the manuscript, however, the more she suspects that the author’s story may be connected to a crime in her past. I’ve never really thought about this to be honest. I like that people can relate to a lot of my every day stories and book tastes. I also like that people are enjoying my endangered posts every week. Because of my background in wildlife conservation, I find that informing my readers about these things is a great. The more awareness, the better. Currently the author that is inspiring me the most is Lindsay Buroker. I doubt a lot of people know who she is because she runs in science fiction circles and, as I stated in my rapid fire books tag, women science fiction authors are underrated. She is very huge into advocating and encouraging writers in the ways of independent publishing. She has podcasts every week with tips and tricks in the author world as well as having guest authors who talk about how they got to where they are. I don’t want to be an author but I find everything she shares quite educational. It’s a level of awareness that’s new to me and she inspires me to share it with others struggling to make a name for themselves in the book world. Congratulations on being nominated for this great award! I’m glad so many people agree with me that your blog is wonderful. Thank you for the nomination. You’ve been so kind. Thank you 🙂 Appreciate it and your blog is as wonderful as mine! Congrats Nel 😀 You deserve it !! 😀 Indeed your blog is unique and I love it!! Probably because I’m self-hosted on WordPress.org. I just figured that out myself on a couple other blogs I follow. Self – hosted ? Not really sure about what that means..
Means I pay a yearly fee for my blog to be hosted on a server and the benefits that come with that. 🙂 Google self-hosted WordPress vs. free WordPress. Hmm so maybe it happens with my blog too. Can you take a look later ? Saved you from spam! You were right, haha. Silly spam bot. You’re welcome!!! And yes, definitely check it out! It’s the first book I’d ever read by her and I fell in love with her storytelling and writing style that I almost have every book she’s written, hahaha. I always recommend it to everybody! hahaha you’ve got a tight spam scheme going on. Hmmm I’ll check it out. What plugin do you use for comments? Me neither. I’ve tried to use Disqus, but some ppl said they couldn’t read my comments, including you, I think.. I feel humbled that you even thought of me for the nomination. I think being considered ‘unique’ is a great achievement as a blogger. You totally deserve it! Thank you 🙂 It’s a great achievement indeed and you definitely deserve it! Congrats Nel! This is the first time I’m seeing this award. I think it is wonderful. Thank you so much for the nomination it means a lot. hehehe yes that sounds like my Itunes!! Disney and MJ together is a hilariously good combo! Congrats on your award Nel! You have a very unique blog!! It’s fantastic 😊Thanks so much for nominating me! I’ll try to get to it this weekend if possible. It’s our last 3 days of vacation, so I’ve promised to try to relax and enjoy myself before returning to real life plus somehow I’ve caught pneumonia while here at the beach, so besides being told I had to rest, I’m doped on some major antibiotics, steroids, and a fun cough medicine that makes me a bit loopy…awesome! 😃 Looks like Jay tagged me for the same award 😁 I’ll just combine the two!! Thanks again!! And congrats! Oh no! Hope you feel better! Enjoy your vacation! I hope I get to see a beach this summer in general! Oh thanks!! We’ve been here since the 10th (my parents have a family beach house or we couldn’t be here this long!) and as much as I love it here, especially since I’ve been vacationing her since I was a little girl, I’m starting to miss home 😔 or really my cat!! At least it’s less than a 4 hour drive home! Yeah, feeling sick on vacation is frustrating. And pneumonia is no fun! I’m definitely hoping to feel better soon! I just started the antibiotics yesterday, so I guess it will take some time to feel 100% which I am going to have to try my best since I’m supposed to have an inpatient surgery next week that they will cancel if I’m still sick…..
That’s so awesome! It’s a great feeling to just have no obligations and relax. I’ve never had pneumonia but I know how serious it can be. I hope you shake it asap and I hope your surgery goes well. I’ll be keeping you in my thoughts! It really is!! I could stay here until August except for missing home (I’m a college English professor, so really I’m a bum until Aug 21st), lol. I NEED TO COME THERE! Noted for next year! That’s my dream to volunteer on a few conservation programs; sea turtles being at the top of the list. If you have pictures you should totally make a post about it because I would love to see them!